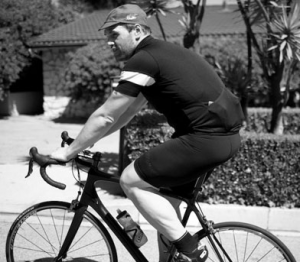 Click to read about how Ethan Suplee dropped some pounds while cycling. Ethan Suplee — who I remember first as Frankie Stechino from Boy Meets world, but later from Remember the Titans, My Name is Earl and now as a guest star on Raising Hope — has lost a ton of weight. This is old news. He was a large fella back in the Boy Meets World and Remember the Titans days. But not anymore. One thing I didn’t realize, however, is that he knocked off a bunch of that weight and keeps it off by cycling. I have no idea how old this story is. But, a lot of what Ethan says reminds me of my weight loss battle. Worth a read for anyone looking to drop some pounds and have some fun doing it. Kai Caddy is the Editorial Art Director at the Arkansas Times. In his spare time he rides his bike a lot. This blog is intended to give you a peek inside his life as an avid cyclist and graphics monkey.